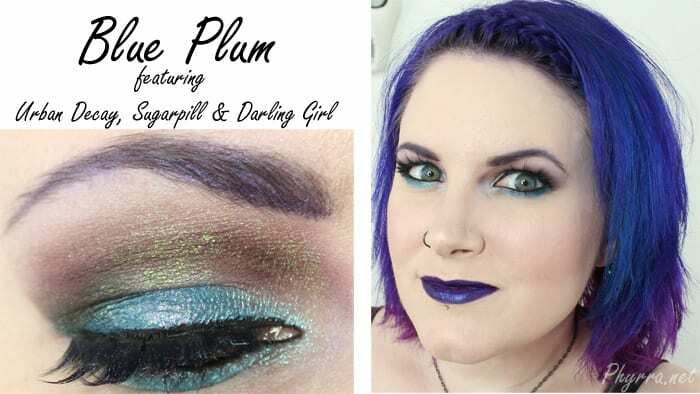 Today I wanted to share my Blue Plum tutorial with you, featuring Urban Decay, Sugarpill and Darling Girl Cosmetics. You also get to see my undying love for Cover FX CC Cream and OCC Technopagan. I love Technopagan. 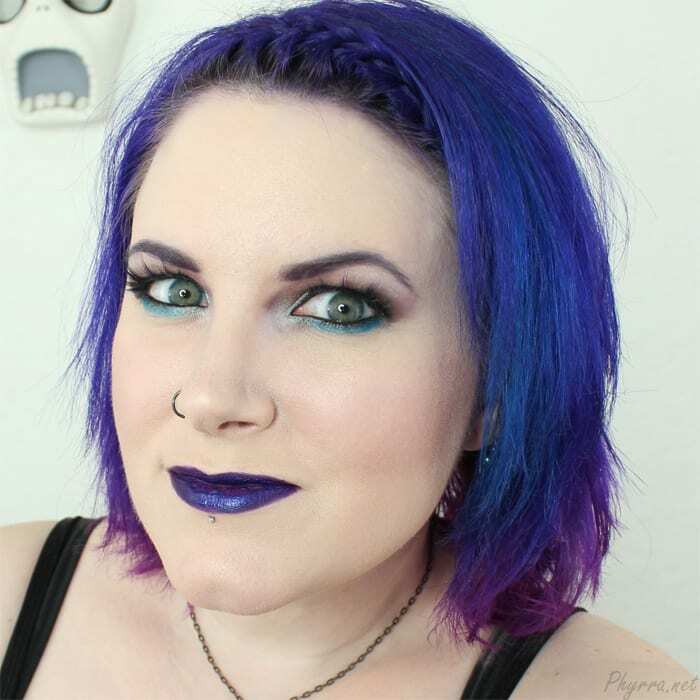 Having a lipstick that matches my hair perfectly is pretty amazing. I really can’t get over how cool Mistress looks. 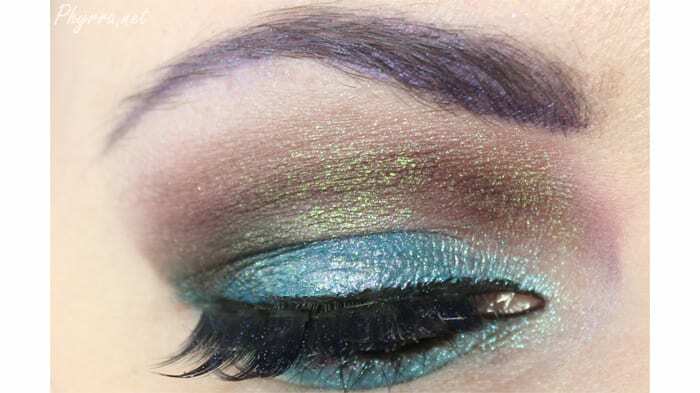 The blackened plum with green shimmer is neat with the bright turquoise blues. I was very happy overall with how my makeup turned out for this look. I think if you do NOT have hooded eyes, like I do, it would look better with heavier liner on the upper lash line. Since I have hooded eyes, I’ve gotta try and make my eye shape work for me. 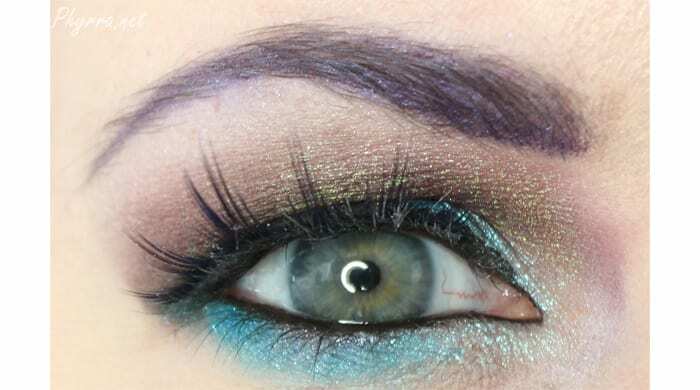 For more tips for hooded eye makeup see this post. If you like this tutorial please give it a thumbs up and subscribe! I think the Sugarpill Stormy lashes really help to open up my eyes. Love these lashes! Mistress is so amazingly beautiful! Love this look so much! Gorgeous, as usual. 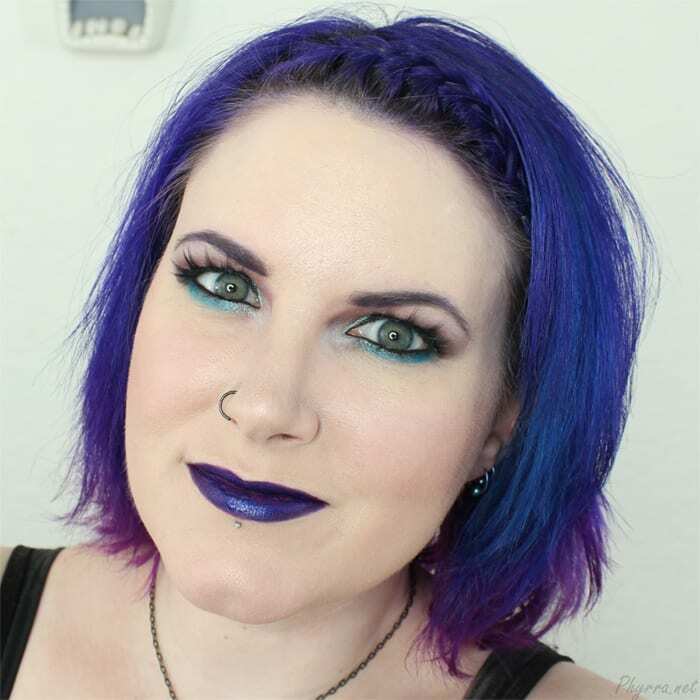 I like the purple in the brows, very subtle and pretty.